You can create Pivot Tables with data from a database in pure Java, without writing SQL. 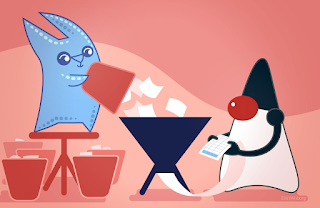 Learn how you can leverage Java Streams for analyzing database content. Raw data from database rows and tables does not provide much insight to human readers. Instead, humans are much more likely to see data patterns if we perform some kind of aggregation on the data before it is presented to us. A pivot table is a specific form of aggregation where we can apply operations like sorting, averaging, or summing, and also often a grouping of column values. In this article, I will show how you can compute pivot tables of data from a database in pure Java without writing a single line of SQL. You can easily reuse and modify the examples in this article to fit your own specific needs. In the examples below, I have used open-source Speedment, which is a Java Stream ORM, and the open-source Sakila film database content for MySQL. Speedment works for any major relational database type such as MySQL, PostgreSQL, Oracle, MariaDB, Microsoft SQL Server, DB2, AS400, and more. "John Doe participated in 9 films that were rated 'PG-13' and 4 films that were rated 'R'." "film" containing all the films and how the films are rated (e.g. "PG-13", "R", etc.). "actors" containing (made up) actors (e.g. "MICHAEL BOLGER", "LAURA BRODY", etc.). "film_actor" which links films and actors together in a many-to-many relationship. // to see how a Speedment app is created. It is easy! build() takes a method reference Tuples::of that will resolve to a constructor that takes three entities of type FilmActor, Film and Actor, and that will create a compound immutable Tuple3 comprising those specific entities. Tuples are built into Speedment. Mission completed! In the code above, the method Tuple3::get2 will retrieve the third element from the tuple (an Actor) whereas the method tu.get1() will retrieve the second element from the tuple (a Film). As we noticed in the example above, we have no actual use of the FilmActor object in the Stream since it is only used to link Film and Actor entities together during the Join phase. Also, the generic Tuple3 had general get0(), get1() and get2() methods that did not say anything about what they contained. In this example, we proved a class with a constructor (the method reference ActorRating:new gets resolved to new ActorRating(fa, actor, film)) that just discards the linking FilmActor object altogether. The class also provided better names for its properties, which made the code more readable. The solution with the custom ActorRating class will produce exactly the same output result as the first example, but it looks much nicer when used. I think the effort of writing a custom tuple is worth the extra effort over using generic tuples in most cases. We only have to add a single line of code to get parallel aggregation. The default parallel split strategy kicks in when we reach 1024 elements. Thus, parallel pivoting will only take place on tables or joins larger than this. It should be noted that the Sakila database only contains 1000 films, so we would have to run the code on a bigger database to actually be able to benefit from parallelism. In this article, we have shown how you can compute pivot data from a database in Java without writing a single line of SQL code. Visit Speedment open-source on GitHub to learn more. Read more about other features in the the User's Guide.